Many people do not get the recommended eight hours of sleep for a variety of reasons and the bedroom may be part of the issue. Sleep is vital for our bodies and there are several steps to take to ensure a bedroom is maximized for sleep. 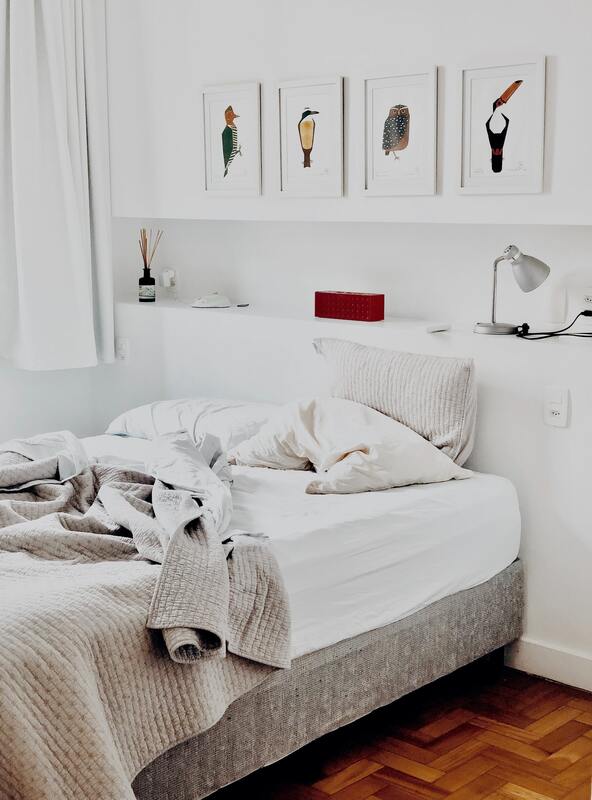 Use the following tips to update your apartment home bedroom or change your bedtime habits to enhance more restful sleep. Don’t do work, watch TV, or eat a meal in bed. The bed should only be used for sleep and although a cozy bed can sound inviting, separating the way we think about our beds can help change our attitude toward sleep. If we only think of our bed as a vessel for sleep, we are more likely to feel relaxed around bedtime. Live in a studio apartment? Try breaking up your space so the bed doesn’t become the focal point of both the living and sleeping area. This way, daytime activities can be separated from nighttime. Clean up clutter. The bedroom should be an organized haven from the chaos of life. Simple décor and proper storage can ensure a bedroom is a clean as possible and therefore more relaxing. Save the electronics for the living room. The brightness of a screen is very stimulating and will keep people awake for much longer. This includes TVs and even alarm clocks. Though alarm clocks are helpful, the brightness can be distracting. If necessary, simply face the alarm clock away from the bed to avoid glancing at the time throughout the night. Keep the bedroom dark. Blackout curtains are an easy fix and will keep out light from streetlamps and the rising sun in the morning. If curtains are too difficult, try using a sleep mask. Keep the bedroom cool. Studies show sleeping in a cool room leads to better sleep. Try adjusting the thermostat to below 70 degrees or wear light pajamas. Keep the bedroom quiet. Don’t fall asleep to TV or music because it adds the risk of being woken by an unsuspecting sound. Try setting a timer on the device so it doesn’t continue all night. If sound comes from neighbors or outside noises, try a sound machine or fan. The consistent sound is lulling and can drown out distracting sound. By making simple adjustments to your apartment home bedroom, you can maximize your sleep for the better. We hope these tips can help lead to sound sleep and relaxation in your apartment home.